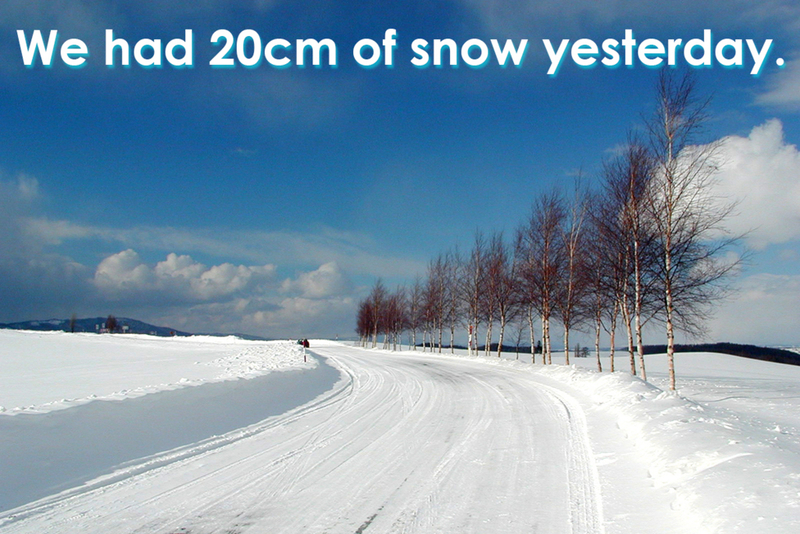 We had 20cm of snow yesterday. We had a lot of snow last night. Quite a bit of snow fell this morning.